Our Morgan Cycle 14 inch Cruiser Bike embodies the cruiser bike ideal: comfortable riding mechanics in a fun, retro-styled package. 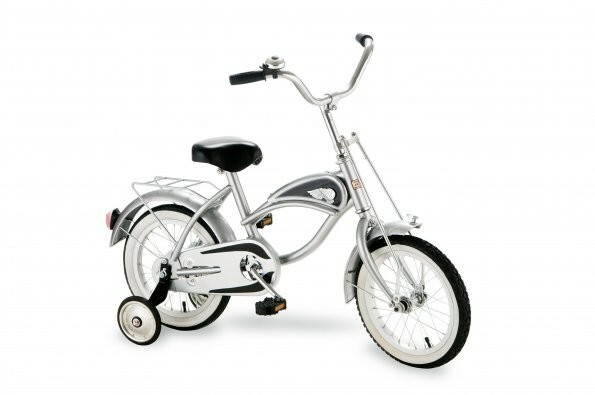 A scaled-down 14" wheeled version of full-featured adult cruisers, it features: ringing bell, adjustable handlebar and seat, include rear luggage rack, and durable steel spoke wheels with air tires. The removable training wheels with wide stance make this an excellent first bike.